Los Angeles knows how to dress up and put on a good show any time of the year. But the City of Angels really steps up its game at the holidays. There is no shortage of holiday-themed family activities and events in downtown and at theme parks, beaches, malls and popular attractions. 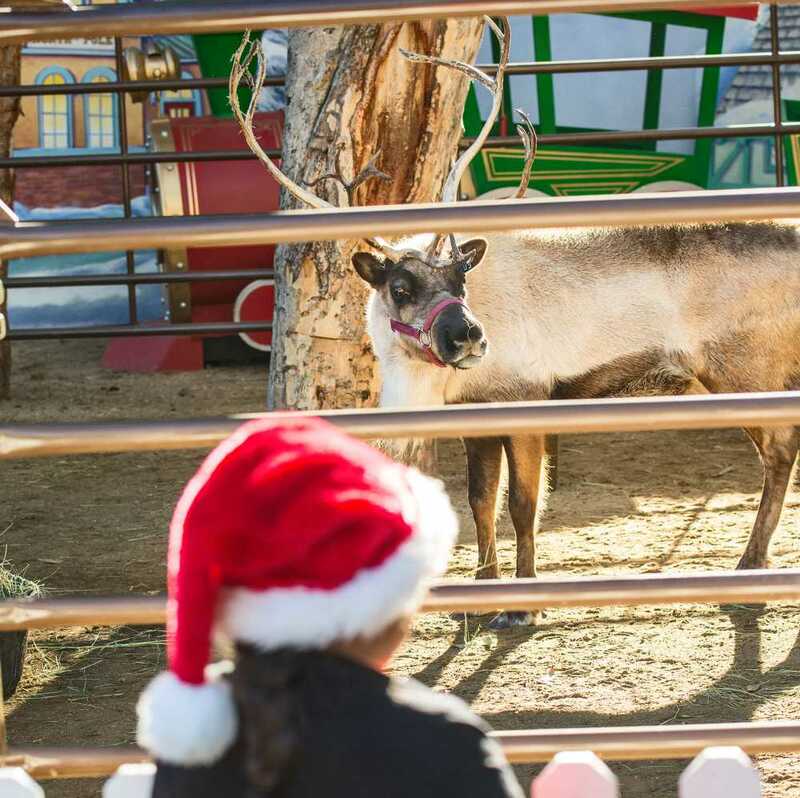 Festive sing-alongs, a live reindeer village, ice skating and Grinch visits are among the many family-friendly holiday events happening throughout the Los Angeles area. 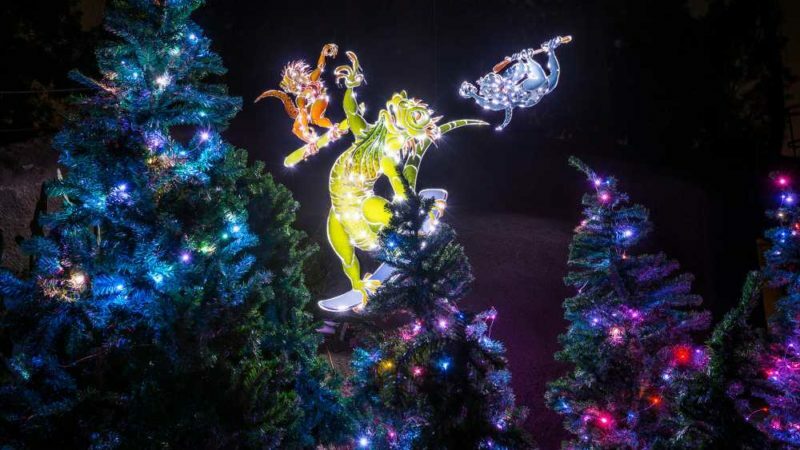 Whether you’re a Los Angeles resident home for the holidays or visiting the City of Angels, treat yourself to seaside ice skating and an array of kid-friendly yuletide activities and events. From free events in downtown Los Angeles to holiday-themed attractions, there’s something for all ages and budgets. 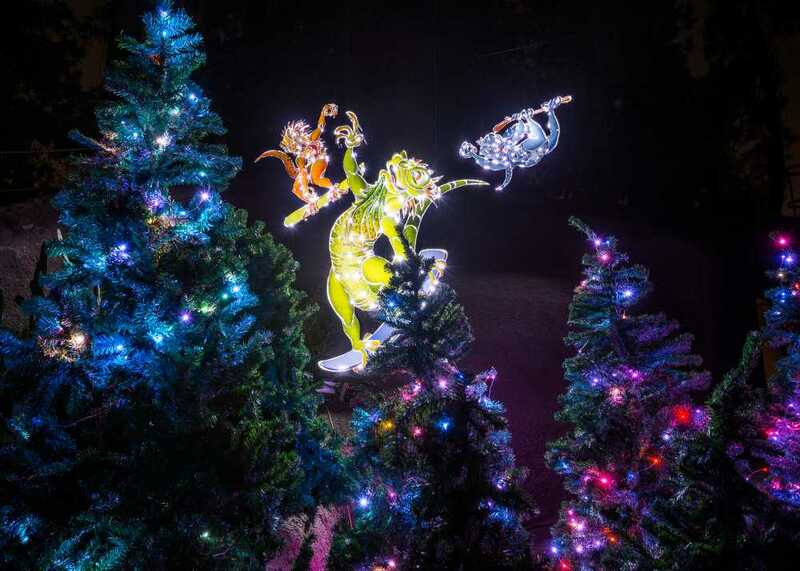 L.A. is an exciting city to visit year-round, but especially during the holidays when streets, neighborhoods, malls and parks are festively decorated. Meet Noel, Velvet, Belle and Jingle in the zoo’s Reindeer Village during the annual Reindeer Romp Holiday Celebration 10 a.m. – 4 p.m. daily through Jan. 8, 2017 (except Christmas Day). The zoo is located in the foothills of Griffith Park. More holiday family activities include ice carving demonstrations on Saturdays, Swazzle Holiday Extravaganza puppet shows on Sunday mornings, crafts (make your own antlers), reindeer games and holiday songs. Plus, take photos (for a fee) with Santa weekends from 11 a.m. – 3 p.m. through Dec 18. Slather on sunscreen for the daytime, but bring a scarf for chilly evenings while shopping for gifts on Main Street, situated just a block from the beach. At nearby Santa Monica Place, scoop up trendy and luxury items. Winterlit celebrates the holiday season with various family activities through Jan. 20, 2017. Swap your flips flops for ice skates at outdoor rinks set up for the holidays. ICE Santa Monica is an 8,000-square-foot outdoor rink near the beach at Fifth Street and Arizona Avenue through Jan. 20, 2017. Cost: $15 admission and skate rentals. Downtown on Ice celebrates its 14th season of skating under the sun and stars at picturesque Pershing Square in Los Angeles. It’s L.A.’s biggest outdoor rink, located in the heart of the city at 532 South Olive, Los Angeles. Open daily (including holidays) through Jan. 16, 2017. Cost: $9 admission, $4 skate rentals. A very merry “Grinchmas” runs weekends on Dec. 3-4 and 9-10, then continues daily from Dec. 16, 2016 through Jan. 1, 2017. The lively Who-liday season stars the Grinch, his faithful dog Max, tons of fresh snow, and an array of wintry events for the family. These include Story Time with Cindy-Lou, Cookie Dec-Who-Rating, ornament decorating, and performances by the Wholiday Singers, a hip boy-band ensemble. Be sure to visit the Who-ville Post Office and share your good deeds on a postcard to mail to the Grinch. 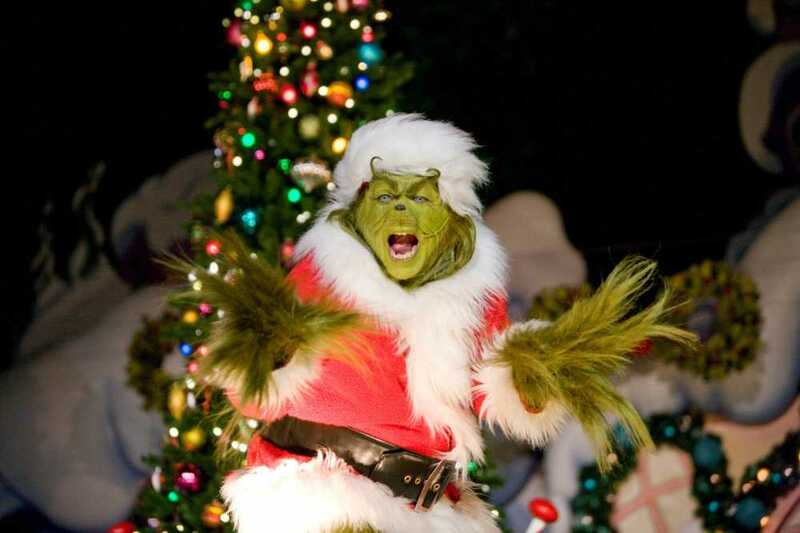 In return, Dr. Seuss Enterprises, L.P. and Random House Children’s Books, the publishers of Dr. Seuss’s How the Grinch Stole Christmas!, will donate a book to a child in need on behalf of the sender. Universal CityWalk’s holiday lights displays include a Christmas tree that glows with 200,000 choreographed, pulsing LEDs that dance to music and lights at 5 Towers. Santa is available for photos through Dec. 23. Admission to Universal CityWalk is free but there’s a parking fee. 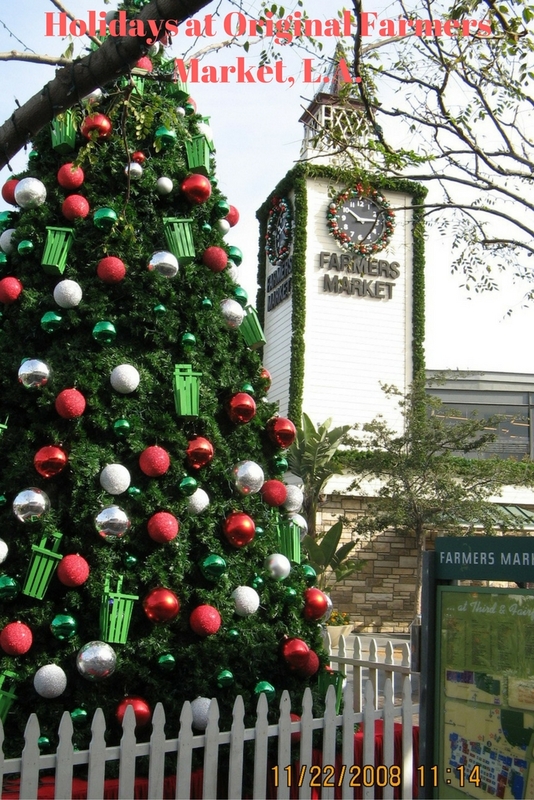 Not just any market (although it is an all encompassing place to stock up on goods), this fun venue is a gathering place for meals and holiday fun. Family activities include strolling carolers, puppet shows, ornament making, live music and much more from Dec. 18 – 24. The annual Holiday Sing-Along with the L.A. Philharmonic takes place from from 11;30 a.m. – 2:30 p.m. Dec. 19 at the Walt Disney Concert Hall. Raise your voices with holiday classics during the Holiday Sing-Along from 6 – 7:30 p.m. Dec. 16 at the Music Center Plaza in Downtown L.A. Free admission, donations welcome. Tickets are distributed beginning 30 minutes prior to the event, while supplies last. One ticket per person to those waiting in line. First come, first served. The 57nd Annual L.A. County Holiday Celebration is Los Angeles’ biggest seasonal celebration. The free three-hour show features numerous musical groups and nearly 800 performers, representing the diverse cultures and holiday traditions of LA County. Join the fun from 3 – 6 p.m. Dec. 24 at the Dorothy Chandler Pavilion.